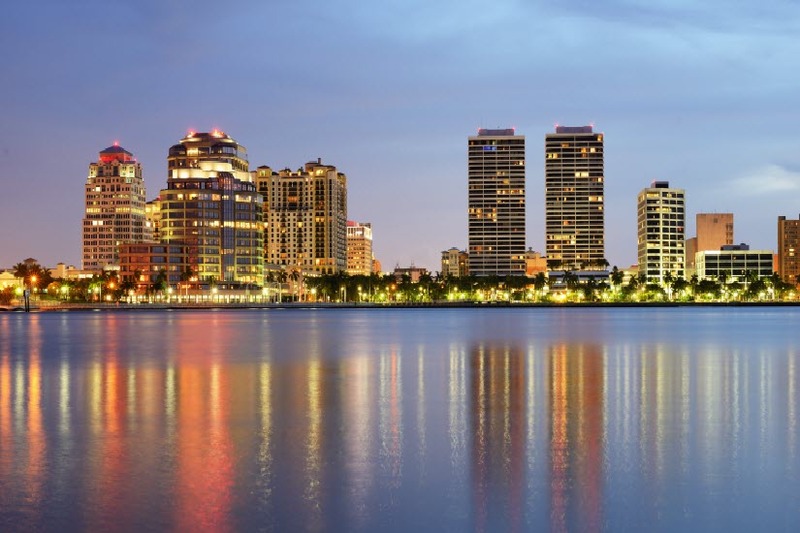 West Palm Beach offers a variety of lifestyles, real estate types and many options for buyers. There is a metropolitan feel that attracts businesses and those that are seeking a lively environment in the downtown area and a more relaxed atmosphere in the western communities. The downtown area real estate market includes charming homes with a lot of history and condo living. West Palm Beach also includes gated communities and single family neighborhoods. Search all homes for sale just like an agent. Our free, one-step registration allows you to bookmark your favorite houses, save searches and receive emails as soon as new homes in West Palm Beach come on the market. West Palm Beach is home to historic neighborhoods, communities and downtown condos. There are also areas that offer larger lots of over an acre of land within 30 minutes from the downtown or Palm Beach International Airport. If you plan to spend the winter in West Palm Beach, you might consider a condo or a country club offering all of the amenities and more of a carefree property. Condos range from 1 bedrooms to 3 bedrooms and single family homes offer 2 bedrooms to 6+ bedrooms. The homes and condos found throughout West Palm Beach range from affordable to extravagant. Of course, the beaches are one of the main draws that provide plenty of fun in the sun. Whether you want to dive into the ocean or you just want to relax with a good book, there are plenty of nearby beaches providing just what you need. You will never be bored in West Palm Beach. There are many restaurant options including dining alfresco. Or, maybe you prefer concerts at the Kravis Center. The West Palm Beach area is full of attractions, beaches, great dining and shopping. If you're looking for a prime Florida location with a variety of unique communities, this may be the next city you call home.